Capital T Theatre is proud to present the the funny and gripping regional premiere of Lucy Prebble’s award-winning play of which Forbes magazine calls “A HILARIOUS, TOUCHING, and MIND-BENDING PLAY about love and the chemicals that make us believe in it”. The award-winning cast includes Sarah Danko, Delante Keys, Rebecca Robinson, and Rommel Sulit and is directed by Lily Wolff. Running Time: 1 hour 50 minutes with one intermission. 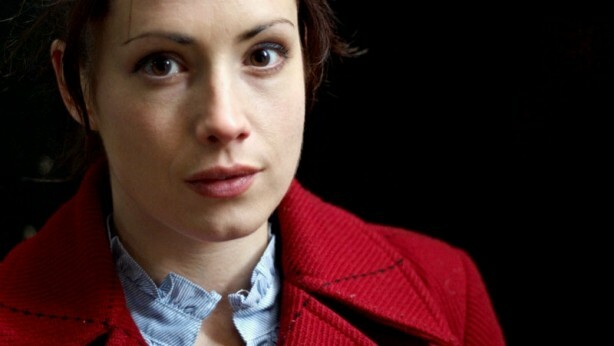 Lucy Prebble lives in London. 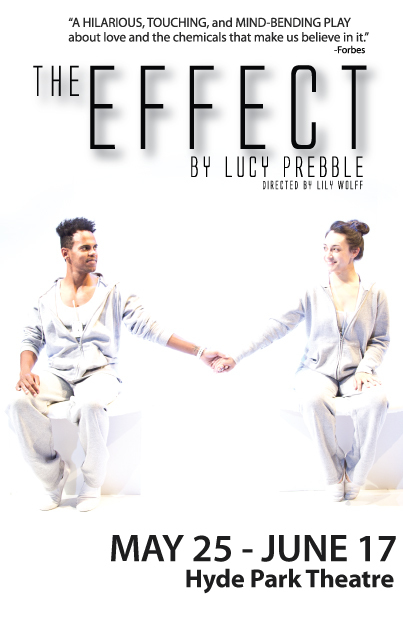 Lucy’s latest play THE EFFECT won best new play at the Critic’s Circle Awards. It played at the National Theatre directed by Rupert Goold and co-produced with Headlong in the winter of 2012 to superb reviews. Lucy was selected as a finalist for the 2013-14 Susan Smith Blackburn Prize. Her smash-hit play, ENRON, transferred to the West End and Broadway in 2010 after sell out runs at both the Royal Court and Chichester Festival Theatre. In addition to the huge critical acclaim it has received, Enron also won the award for best New Play at the prestigious TMA Theatre Awards, and was shortlisted for the Evening Standard Award 2009. Lucy won the prestigious George Devine Award 2004 for her outstanding debut play THE SUGAR SYNDROME in May 2004, followed by the TMA Award for Best New Play in October 2004. She also won the 2004 Critics’ Circle Award for Most Promising Playwright. Lucy was also nominated for the Most Promising Newcomer Award at the Olivier Awards 2004, shortlisted for the Susan Smith Blackburn Award 2003 and nominated for the prestigious Evening Standard Charles Wintour Most Promising Playwright Award 2003.